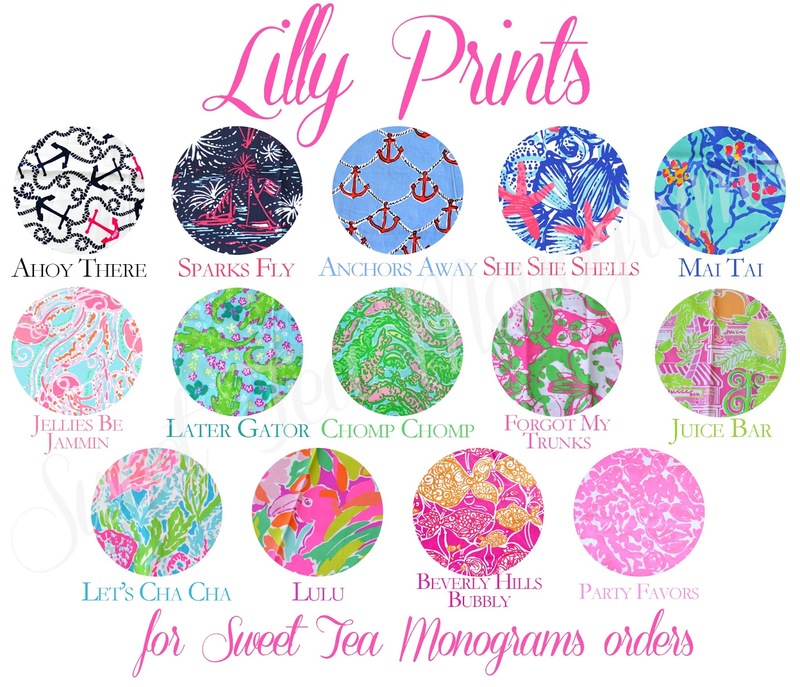 It's been a while since I've shared a Monogram Monday post but since today is Lilly Pulitzer's birthday (see my post yesterday for more Lilly birthday fun!) 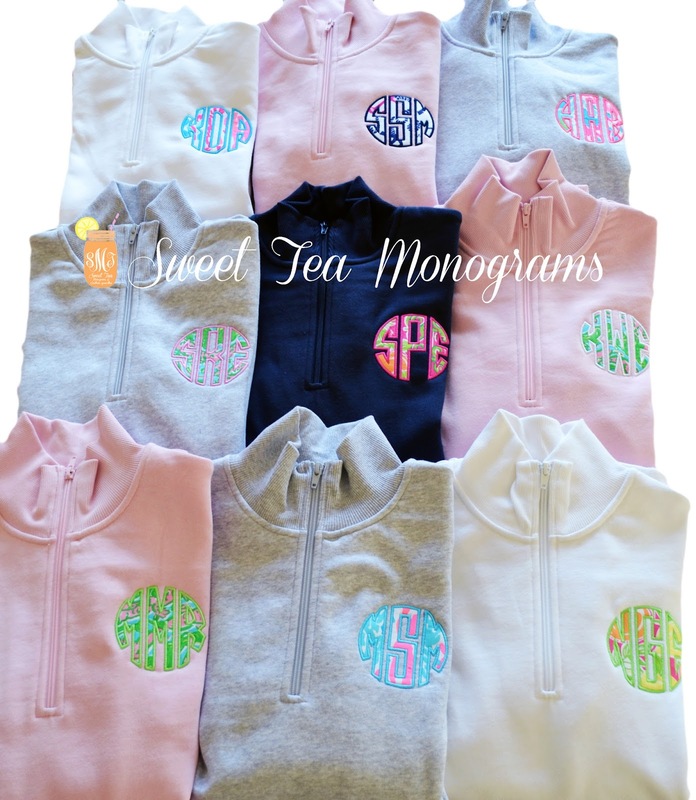 so I wanted to share some of my favorite pullovers from the Sweet Tea Monograms shop. 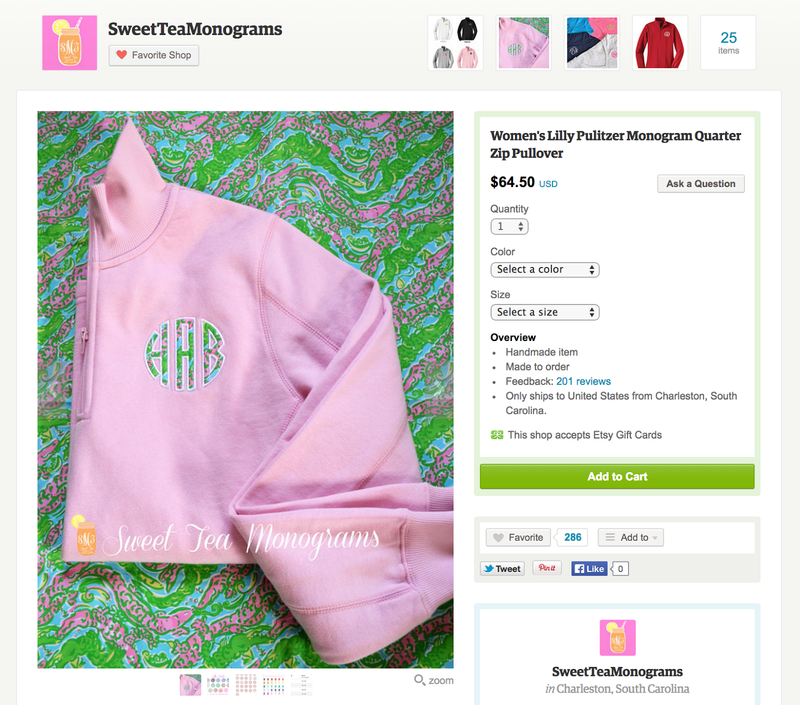 These monogrammed pullovers are great for any Lilly lover, because you can be creative and mix and match the different fabrics (I just added lots of new options!) with the different color threads and pullovers! They run true to size and are a women's cut so they are more figure flattering than some styles that have an elastic waistband. For reference, I'm wearing a small in this photo though I have some in medium for a more relaxed, longer fit and usually wear a 4/6 in most clothing! Want to see some more monogram examples? See the Sweet Tea Monograms Instagram account for more!